Industry shifts have always been driven by emerging computing platforms. Computing has evolved from PC to client server base to Web based. Companies are cutting down costs on servers, storage and networking equipment by software defined cloud computing. Not to mention the benefits of scalability, upgrades and maintenance of Cloud computing. This trend is set for 2014 and beyond. The explosion of mobile devices would push the limits of technology to offer customized solutions that can enable users to work from anywhere. Mobile enabled apps offers seamless connection between computing and communicating. Machine to Machine (M2M) Technologies will push the industry to create more of mobile operated machines where the apps acts as key to remotely control door or room temperature etc. The keyword to emphasis is higher security without compromising on usability and accessibility. Industries like health care, hospitality and life sciences are adopting big data analytics to understand and predict future trends. This in turn would create high demand for Interactive Data visualization offered by Business Intelligence tools. Managing big data to make sense for making business decisions has always been in the agenda of customized software creation. New database developments are evangelizing the return to SQL, although not by better hardware or architecture but through NewSQL solutions. NoSQL initially perceived as “No more SQL” has been praised for performance, scalability and availability. However the development cost and data refactoring efforts seems to be higher than those associated with SQL data stores. This has prompted users to turn to NewSQL which combines the advantages of NoSQL with the power of SQL. Differences aside SQL is definitely back in Fashion and trending in 2014. 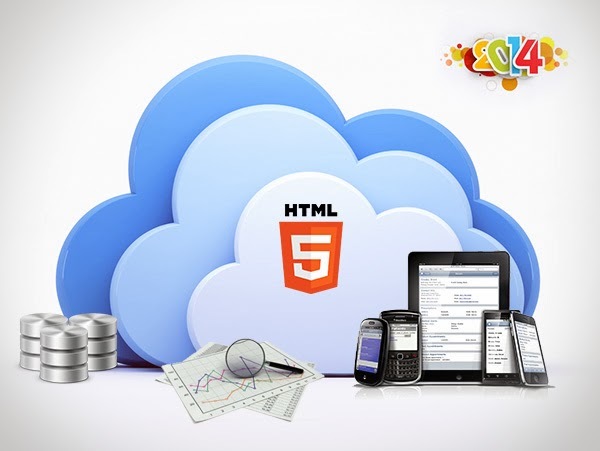 HTML5 has been around for quite some time, but business have started understanding the advantages of HTML5. More and more applications are using HTML5 for its sheer benefits of write once, play everywhere concept. HTML5 makes creating accessible sites easier for two main reasons: semantics and ARIA. Popular browsers all support HTML5 (Chrome, Firefox, Safari IE9 and Opera) and the HTML5 “doctype” was created so that all browsers, even the really old one can use it. Thanks to audio and video support of HTML5We can forget about Flash Player and other third party media players. So let’s hive five to HTML5, its here to stay. Customer requirement or problem can demand either engineering-based approach for developing business solutions, or an incremental approach, where software evolves as it is developed piece-by-piece. 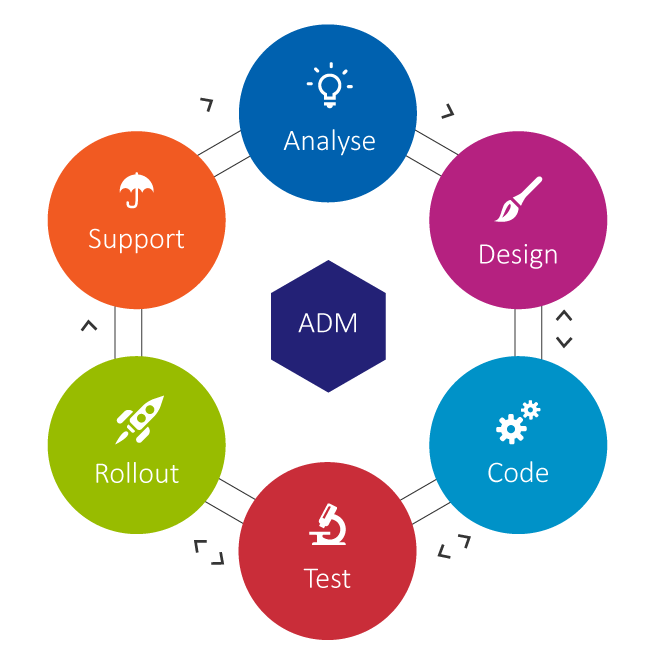 Regardless of the approach we choose, at PsiberTech we follow the Apps Development Model, ADM. ADM design model ensures that Simple, effective and good quality software is delivered to the customer.